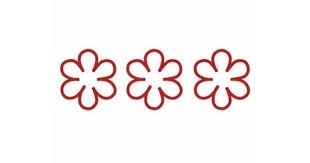 Was a Small Wholesaler Just Awarded a Michelin Star? Sadly, no. Michelin Stars are only awarded to restaurants. Napa Nuts, a purveyor of gourmet wholesale ingredients, used by amazing and creative chefs and bakers, has exactly zero Michelin Stars. However, the restaurants that we supply with high quality nut and dried fruit ingredients have 10 stars! While we can’t claim credit for their success, we like to think that we have an important role in their success: consistently providing the best possible products year round. The Michelin Company has a world-renowned restaurant ranking program. They rank restaurants all over the world for outstanding food quality and overall dining experience. Their team of anonymous diners eats at restaurants recommended by the public, seeking dining experiences that really stand out. The recognition/ranking process is actually a bit more complicated than just dining out at great restaurants. If you would like to learn more, here is Michelin’s guide to their process in a handy infographic. One star: This restaurant has a quality menu and prepares cuisine to a consistently high standard. This restaurant is worth a stop on your trip to that city. Two stars: The restaurant has excellent cuisine delivered in a unique way. This restaurant offers exceptional food and would be worth a detour to visit while traveling. Three stars: The restaurant has exceptional cuisine and is worth a special trip just to visit. Rather than being a stop on the way to a destination, this restaurant is the destination. Dining at this restaurant is an experience that will be memorable and worth the trip. Any chef will tell you that high quality ingredients are crucial to having food that tastes good. There is a reason top-tier chefs don’t shop at the corner store for their steaks. Some chefs, such as Thomas Keller of The French Laundry (with Three Michelin Stars), have gardens to grow as much of their own food as possible. The garden across the street from the restaurant is a tourist destination of its own. When freshness is important, it doesn’t get any fresher than this. Restaurants that have the ability and grow their own food are deservedly proud of this fact. At some point there have to be some limitations. Even this Three Michelin Star restaurant and garden is limited by climate. They are unable to grow their own chocolate or their own cashews as the climate of Northern California doesn’t support those kinds of tropical trees. If they could, they would probably be the best in the world, but this also takes a few years of planning to have trees that produce at the right time. Most chefs do have to turn to wholesalers for their bulk ingredients. When creativity strikes and cashews, or something else exotic, will perfectly complete the dish, the source will have to come from somewhere else. This is where Napa Nuts comes in. We have spent decades curating only the best available ingredients. Customers, such as the Restaurant at Meadowood, another recipient of a Three Star rating, know that whatever product they order, they will get the best available quality. To Napa Nuts, quality is our identity. We look for the best and our customers expect the best. We source our nuts and dried fruit from trusted growers and distributors who focus on quality and consistency in the same way that we do. This is a total of Ten Michelin Stars in the Napa Nuts customer list. As a fine foods wholesale purveyor to these (and many other) well-recognized establishments, we are delighted to further their achievements. Please leave some comments if you have experience dining at any of these place. If you are an amateur chef who want to use the same bulk ingredients as the professionals, please visit napanuts.store. When work spaces are trying to attract workers, and tech companies are recruiting top talent, these little perks tend to add up. Freshly brewed coffee, fruit water, and games or fun areas are all standard perks of these office spaces. The place where the outstanding co-working spaces pull ahead from the places that just hit the minimums is the snack room. The real effects of high quality snacks increasing productivity at the workplace may not be studied in academia at the moment, but we are pretty sure people like free food. Food education has made a radical leap in the past few years. Most people are now moving toward healthier choices. Modern tech company snack rooms are putting kombucha on tap more frequently than sodas. Snacks are also moving towards non-GMO, gluten-free, products and away from processed foods. Napa Nuts has been on top this trend for a while. Nuts are filling. They are full of healthy fats that sate appetites quickly. We do our best to stock lots of California Grown nuts like pistachios, pecans, walnuts, and almonds. We are really happy with roasted and salted pistachios out of the shell. These nuts taste fantastic. They appeal to those cravings for salt and crunch without resorting to potato chips. The best part is that nobody needs to clean up the shell! Another great option is raw California Pecans. These are really underrated. They are fantastic morning additions to oatmeals, cereals, and waffles. They are a really healthy mid-day snack as well. These are most commonly eaten raw, so they can feel more like a health food. Fresh fruit is amazing, but hard to stock correctly without items getting over-ripe and then thrown out. Ultimately, nobody wants to waste food. Dried fruit has much more shelf stability. If stored properly, dried fruit can last months in the snack room. We typically eat all of it quickly, so we don’t know exactly how long. We recommend honey pluots. These are one of our best kept secrets. Some people will probably not know that this is an apricot and plum hybrid. These pluots have the sweetness of stone fruit that you can get all year long. These are a quick fix to feeling run down. The natural sugars are a quick pick-me-up that will give people energy to get through the afternoon. The other crowd pleaser is our Gourmet Berry Mix. This is a proprietary blend of cranberries, flavored cranberries, blueberries, cherries and raisins. There is an incredible mix of flavors which has something for all tastes. This works really well sprinkled on toast with peanut butter, as an add-on to oatmeal, or as a standalone snack. Chocolate snacks are not necessarily the first choice of nutritionists. However, there are many recent studies about the health benefits of the flavonoids present in high quality dark chocolate. We have high quality dark chocolate covering nuts and dried fruit. Our sea salt chocolate cashews are a real crowd pleaser. The San Francisco tech company whose snack room we stock, went through a lot of these. They ate 100o’s of pounds over just a few months. Our other recommendation are the chocolate Razzcherries. While razzcherries are not a real fruit, the raspberry juice infused cherry center of a dark chocolate bite is amazing. There is a great blend of flavors with some chewy sweetness at the center. These are also great to bring to parties. If you want the best of all worlds, trail mix is your answer. We have the ability to custom blend mixes to make sure there is the right amount of nuts, dried fruit and chocolate in our mixes. We want to make sure we each bite has the right flavor profile and mouth feel. We do have a former chef on staff to make sure all of our trail mixes can officially be gourmet. As a supporter of sustainability, we also recommend buying nuts, dried fruit and snacks in bulk. Having some kind of reusable container to scoop into is a huge help to start saving the planet. Please buy wholesale and save the office a bit of money at the same time. A New Year’s resolution is one of those traditions that people renew despite its effectiveness last year. Every year, the most common resolutions deal with improving overall health and dieting. Napa Nuts is here to help. Nuts make you feel more full. Studies are showing that the healthy fats in nuts make you feel full after just a small handful. This will cut down on all of the snacking that keeps you from hitting your weight loss goals. We recommend raw almonds and raw macadamia nuts. They are crunchy and delicious in their raw state and satisfy hunger cravings quickly. Nuts and dried fruit are nutritious. We all know that dried fruit has all the nutritional value of regular fruit. Dried fruit is also more portable as you don’t have to worry about bruising. Nuts are also great for getting your body more omega-3 fatty acids and some antioxidants. Dried fruit tastes so good many kids won’t realize it’s good for them. Dried fruit is a great treat that often doesn’t include any refined sugar; something else people cut from their New Year’s diets. Doctors and scientists want you to eat more nuts. We have our news feeds set to send us stories related to nuts and dried fruit. We frequently read stories about the health benefits of eating more nuts. Here is a recent story from Consumer Reports that is typical of most of the things we have been reading. If you see more that you want us to check out, add some links to the comments. Basically, it is hard for us to find reasons NOT to eat more nuts and dried fruit in the new year. Enjoy your 2019!